At Catalyze we have a strong experienced team of consultants, lead facilitators, decision scientists and software engineers. The depth of this team allows us to apply the most appropriate resource to meet our clients’ requirements. Bob is Managing Director of Catalyze. He brings over 30 years experience in the consulting business holding a number of senior management positions including business consulting, innovation, strategic planning and new market development. Before starting Catalyze in 2001 Bob was a Partner and Director in Hewlett-Packard’s European Consulting business. Bob enjoys using his experience and skills to help clients in realising the potential of their organisations. He holds a degree in Engineering, is a Member of the IET and an active Member of the International Decision Conference Forum (IDCF). Kevin is a Director and Principal Consultant at Catalyze. He helps organisations with a wide range of portfolio planning and management challenges, such as strategic balance of investment; rationalising and delivering large R&D portfolios; developing operating plans; setting up portfolio governance structures and financial management methods; and generally helping to develop and mature the PMO. He has a degree in cybernetics and control engineering and a doctorate from Southampton University’s Electronic and Computer Science Department, and is on the committee of the OR Society’s decision analysis special interest group (DASIG). Paul is a Principal Consultant and Managing Director of Catalyze Asia Pacific. His skills and experience include facilitation, design and implementation of structured decision-making processes, senior client and stakeholder engagement, programme management and business development. He has worked extensively within government and the private sector in Australia, NZ and the UK. Recently he has been involved in facilitating many key decision points for major programmes and strategic planning initiatives within Defence in New Zealand and Australia. Paul is committed to changing the way organisations make strategic decisions, by adopting collaborative, value-focused decision-making with clear, open communication. Edward is a Principal Consultant at Catalyze, based in Wellington. His extensive experience includes providing advice to Ministers through appointments in the Department of Prime Minister and Cabinet, as Military Secretary to the Minister of Defence, and from policy advisor roles in government departments. 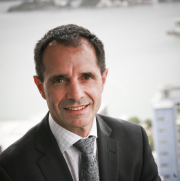 As a consultant, Edward has supported strategic reviews and prioritisation with the New Zealand Defence Force and New Zealand Police Force. Edward has a Masters Degree in Public Policy from Victoria University, a Masters in International Studies from King’s College London and Master of Science from University of Auckland. He is a member of the Institute of Directors. Patrick is a Consultant and Lead Analyst at Catalyze. He helps clients design, structure and embed decision-making processes, covering data collection, data analysis and management, MI and business intelligence. He has undertaken a broad range of consulting roles within the UK MoD and major Financial Service institutions on business transformation and software implementation. Patrick also leads the development of the Catalyze strategic portfolio prioritisation and management toolset. He has a Masters degree in Strategic Entrepreneurship and an Honours degree in Management Sciences from the University of Southampton. Will is a Consultant and Lead Analyst at Catalyze. He combines strong analytic skills developed in scientific research with project knowledge from working in the UK Defence Science and Technology Laboratory. His final role in Dstl was the embedding of Science and Technology into Navy Command with the creation of a team of Science Gateways to support the Navy’s tasking and exploitation of scientific research. He led analysis in Navy Command including the redesigning of the Navy Command Capability Audit. 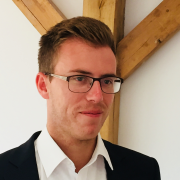 Will has worked across Dstl including postings to MOD Main Building, Permanent Joint Headquarters, UK Missile Defence Centre and as the UK Exchange Scientist at the US Joint National Integration Centre. He has a Masters in Mathematics from Oxford University, is a chartered Mathematician and Member of the Institute of Mathematics and its Applications. Grace is a Consultant at Catalyze. Her main roles include process design, data analysis, requirements gathering and tool design. She combines strong analysis skills developed in scientific research with a broad base of consulting experience and enjoys supporting organisations in applying best practice techniques to their portfolio management. 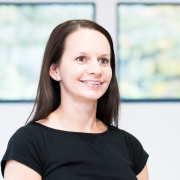 Grace is a certified practitioner of Management of Portfolios (MoP) and has recently worked to help embed Project, Programme and Portfolio management at Army HQ. Grace has a PhD and MSci in Astrophysics. Tim is a Principal Consultant with Catalyze and leads Catalyze’s work in health. 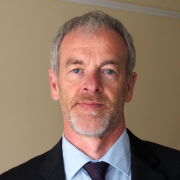 Tim has delivered successful projects for NHS commissioners, for providers of health care and for NHS England. 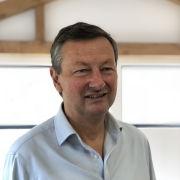 Tim joined Catalyze from Capita where he designed and developed the NHS model to support health and care systems to plan their urgent and emergency care more strategically. Tim is a highly qualified mathematician with a doctorate from the University of Oxford. He started his career as a lecturer at Oxford before moving to the civil service and then into consulting. Tim is skilled in the application of quantitative techniques blended with the softer qualitative techniques that are essential for successful transformation. David is an Analyst Consultant at Catalyze. His skills and experience include data analysis, strategic planning and financial modelling. 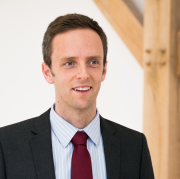 David helps deliver and support a wide range of projects and also assists with the development of Catalyze’s strategic portfolio prioritisation and management toolset. 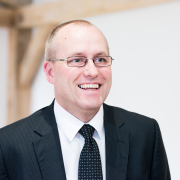 David has recently worked on projects with the NHS, the MoD and a global life-science business. Prior to joining Catalyze, David was a Strategic Planning and Pricing Analyst at the cruise company Carnival UK. He holds a degree in Mathematics from the University of Southampton. Ady is Office Manager at Catalyze. Ady joined Catalyze in 2018 having previously worked as Distribution Office Manager at Vitacress Salads. He has diplomas in Business Management and Administration Management. Ady spent 24 years in the British Army as a Musician performing at high profile events in the UK and overseas. James in as an associate at Catalyze. 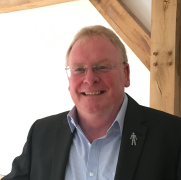 He is an experienced defence and business executive, working at the highest levels of the defence industry and the MOD with a 20 year track record of delivering industry and MOD projects to challenging performance, time and cost constraints. He has recently completed leading the development of the Information Activities and Outreach Operating Model, having previously lead the development of the Army HQ Business Operating Model. Pete is an Associate at Catalyze. He supports clients facing strategic decisions and complex challenges in the context of multiple stakeholders. Pete works with clients to design and facilitate interventions into complex and contentious situations, and enjoys helping people see things from different perspectives. His career has spanned engineering and project management, as well as business development and commercial roles. Pete has Honours and Masters degrees in Electronics from UMIST, is a member of the IET and a Chartered Engineer. He also has the CIM Diploma in Marketing. He has been an active participant in the ‘Leading Complex Projects’ consortium and is a non-executive director of SCiO (Systems and Cybernetics in Organisation).